We know contractors are busy. 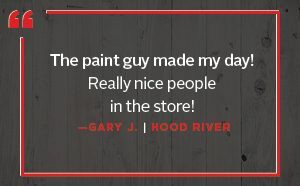 That’s why the Hood River Design Center is your one-stop shop for all of your client’s needs. We’ll work one-on-one each individual, handling the smallest detail to the biggest design decision. Just provide us the plans and we’ll take it from there! At Hood River Design Center, we collaborate with your clients to customize counters, create color palettes, update surfaces, replace worn flooring, and reimagine rooms – all to suit their taste and fit their budget, for projects big and small. We’ll keep you in the loop, consult you as needed, and keep the project moving ahead without hassle or headache. We’ll exceed all your clients’ design expectations! Choose the Tum-A-Lum – Hood River Design Center and set your mind at ease. When designer Erin Barrett suggests a design option, it’s not just a swatch of paint, a row of cabinets, or a run of flooring. It’s an important decision that speaks to the very heart of the client: what they’re all about. 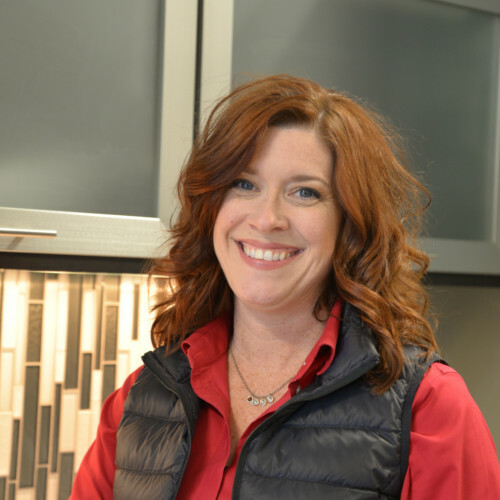 Representing Tum-A-Lum – Hood River, Erin knows that when it comes to choosing the elements of one’s home or workplace, things like cabinets aren’t a commodity, they’re a bigger statement of one’s style and sentiment. After more than 23 years bringing the dreams of Gorge clients into reality, getting it exactly right – and providing the service to get the job done – is job No. 1. Each step of the way, Erin ensures every design suggestion is tailored to the client’s specific preferences. From a sketch on a napkin to a list of must-haves and to-dos, Erin will create a space that’s entirely YOU.